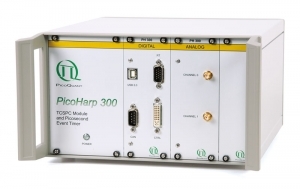 PicoQuant announces a new multichannel Picosecond Event Timer and Time-Correlated Single Photon Counting system with USB interface. 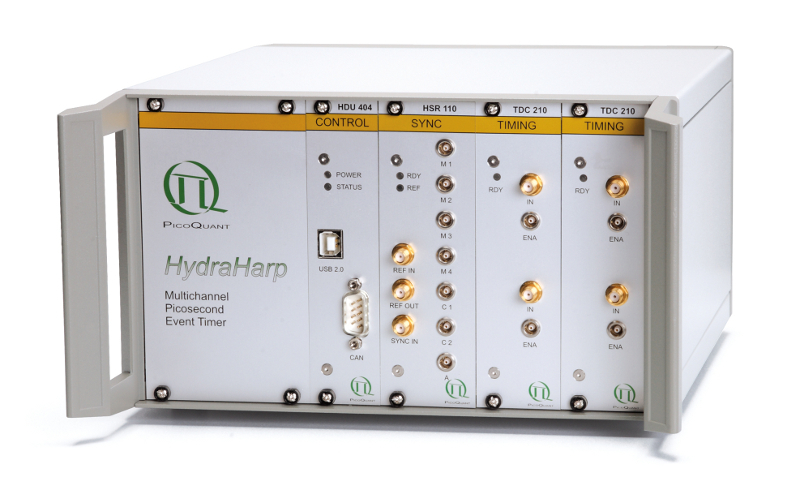 The new device is based on a novel time digitizer with 1 picosecond resolution, a processing rate of 12.5 million counts per second per channel, a very short dead time and an extremely low differential non-linearity. 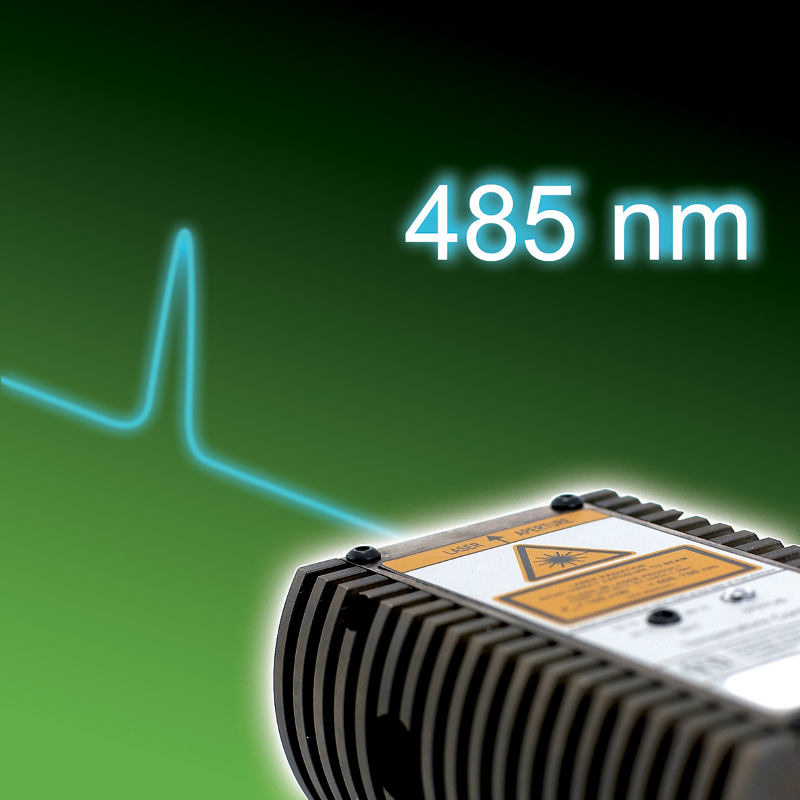 PicoQuant GmbH announces the release of the long-awaited 485 nm picosecond pulsed diode laser head. 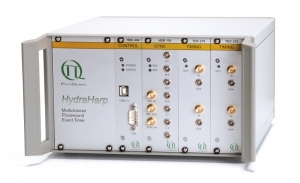 The availability of this new wavelength opens the door for entirely new applications in bioanalytics, biochemistry, genetics, semiconductor characterisation and quality control. 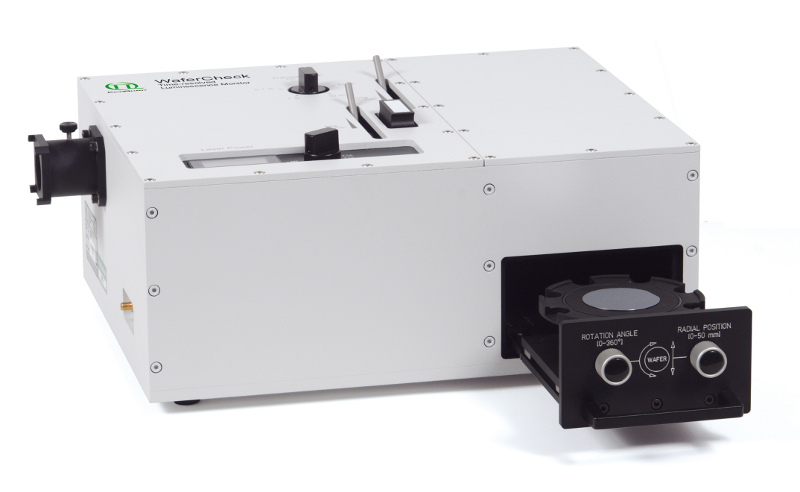 The new laser head is ideal for exciting fluorescent proteins like GFP and widely used fluorescent dyes such as Fluorescein, Atto 488 or Alexa 488 and fills an urgent demand for alternatives to frequency doubled solid state lasers or argon-ion lasers in applications like Fluorescence Microscopy. 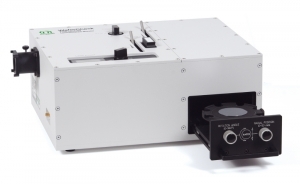 PicoQuant introduces the new version of the Semiconductor Wafer Analysis System WaferCheck 150. 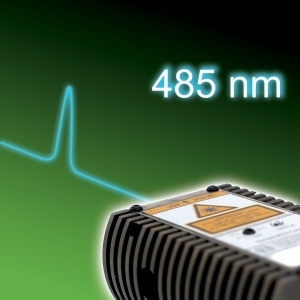 For high quality semiconductor devices such as heterojunction bipolar transistors, sensitive photodetectors, photovoltaic collectors, solar cells, efficient laser diodes or bright light emitting diodes, a precise measurement of the material characteristics is required. Among a variety of possible parameter to be tested, the electron-hole recombination rate is perhaps the most important one. From January 19-24, 2008 SPIE organized a special symposium about „Biomedical Spectroscopy, Microscopy and Imaging“ as part of North America's Largest Photonics Event („Photonics West“). 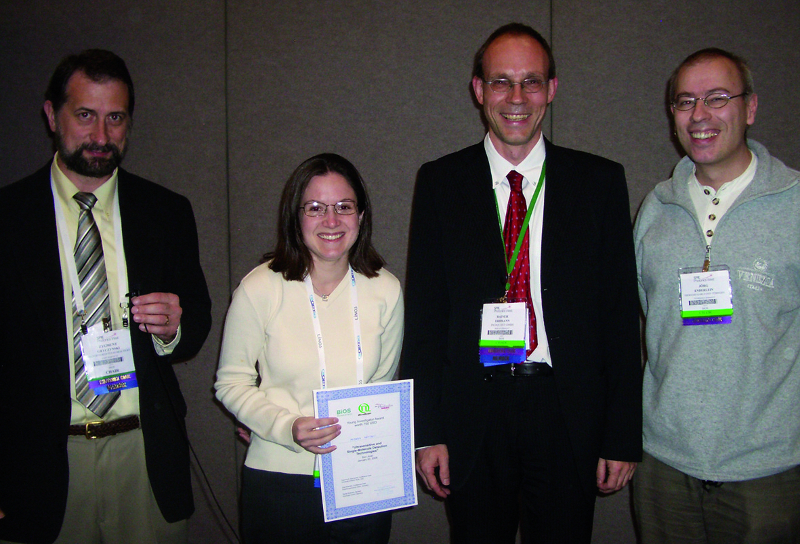 The „Single Molecule Spectroscopy and Imaging“ session was surely one of the highlights of this symposium and about 120 scientists enjoyed more than 40 presentations. 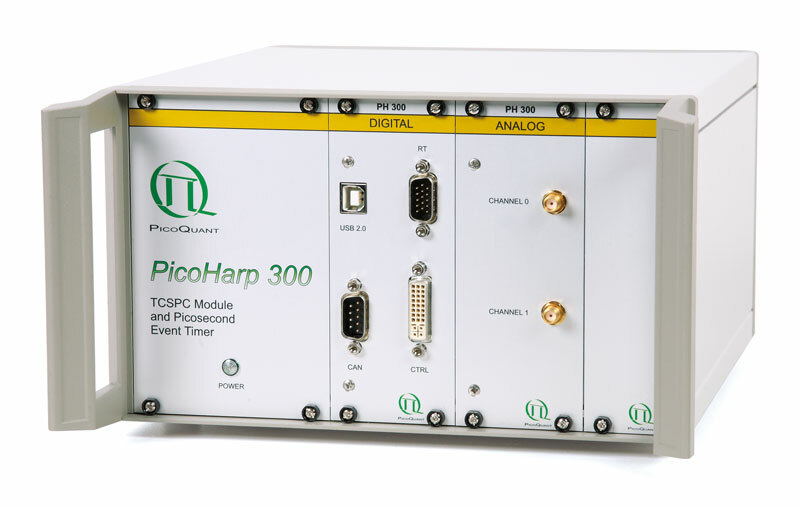 A new programmer's library is now available for the PicoHarp 300 Time-Correlated Single Photon Counting system from PicoQuant. The new library version 2.2 provides several new features, most importantly driver support for the 64 bit versions of Windows Vista.